Pools were meant to provide a fun, relaxing, and refreshing experience for all ages and that is why Pool Patrol is dedicated to ensuring you get exactly that with your pool by keeping kids, pets, and adults safe! Our pool alarms meet the requirements of ASTM Safety Specification F 2208, which is just one more reason you can trust Pool Patrol. Pool Patrol products help improve the overall safety of your home, pool, and spa area by providing an extra layer of safety. Nothing is better than direct adult supervision, but we all know accidents can happen and attention can be interrupted. It is common for homeowners overlook possible dangerous areas of their home and it is our hope that we can help you locate those areas by taking a proactive approach to safety. We also encourage you to download and print off our Safety & Quick Fix Checklist to use as a guide to improve the safety of your home and a reference for easy reminders and fixes for your pool alarm, like checking the battery, sensitivity, and the filter positions. To learn more about pool safety and the resources available about pool and spa safety, visit the trusted websites listed below. You may even find some training courses to complete or you may discover that you’d like to become CPR certified. Has an entire section of their website dedicated to water safety of all kinds. Provides information on Healthy Swimming & Recreational Water for health & aquatics professionals. Offers online training and provides informational resources for pools, pool products, and pool safety. A site dedicated to pool safety for children of all ages. 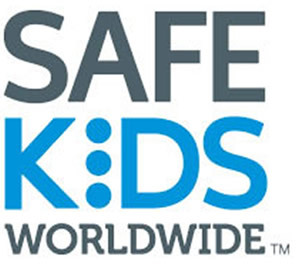 A global organization dedicated to protecting kids from unintentional injuries or death. The Association of Pool & Spa Professionals provides several resources for pool & spa regulations, safety procedures, and tips for home safety. An organization providing information on pool safety for pets.